What Does Tech Have To Do With Your Financial Peace Of Mind? WorthPointe works on your schedule. Austin Financial Advisor Morgan Smith explains how he uses his tech tools to meets clients where they’re at, even if they’re laying on a beach in Bali. “Mindfulness doesn’t do any good unless there’s discipline attached to it.” We became financial advisors first and foremost to provide our clients with fulfilled, happy lives. Austin Partner Morgan H. Smith discusses the important role that mindfulness plays in your financial life and how a financial advisor can guide you in financial discipline. Your nest egg can determine your quality of living into your retirement years. Partner and San Diego Financial Planner, Ken Cortlett, CFP® explains how we factor your nest egg into planning and growing your probability of success. What’s different about WorthPointe? We measure value by client satisfaction and progress towards your goals. Get to know WorthPointe from Partner and San Diego Financial Planner, Ken Corlett, CFP®. Expertise reviewed 193 Austin financial planners. 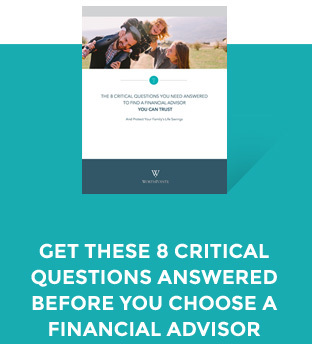 They scored financial advisors on more than 25 variables across five categories, and analyzed the results to give you a hand-picked list of the best financial advisors in Austin, TX. We’re honored to be included in their top 10 Austin Financial Advisory Firms.